People find it hard to believe that something that you blow up can actually be stable enough to float you out on the water. 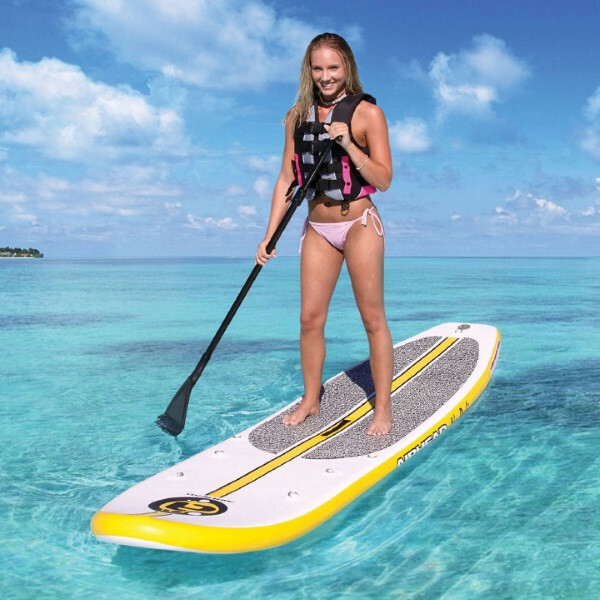 they are about 80%-90% as rigid as traditional paddle boards. The huge advantage is the ability to collapse down into an included travel bag & be easily transported in the trunk of a motor vehicle.